Posted on November 22, 2016 by Tom Manoff	in Uncategorized and tagged featured post, featured-left, featured-slider. UPDATE: Francesco Lecce-Chong Chosen as new director of Eugene Symphony. This piece also appeared at Oregon ArtsWatch. The Eugene Symphony has announced three candidates to succeed current conductor Danail Rachev: Dina Gilbert, Ryan McAdams and Francesco Lecce-Chong. As ArtsWatch’s feature about the selection process showed, all three young, rising conductors offered strong credentials in the race to join a distinguished lineage that includes stars Marin Alsop and Giancarlo Guerrero. Active in Quebec, Gilbert has been the assistantat the Orchestre symphonique de Montréal and has also conducted a number of youth orchestras around the world. Compared with the other two candidates, her bio is particularly thin. At her December 8 audition concert, Gilbert seemed quite nervous walking to the podium, which carried into the first piece: the overture to Mozart’s opera, The Magic Flute. Perhaps these nerves prompted her too-fast tempo for the overture’s opening, a pace the orchestra had a hard time keeping up with. This Mozart overture is widely known, and, as it happens, has a tricky part for conductors, a section that many conducting students struggle to master. 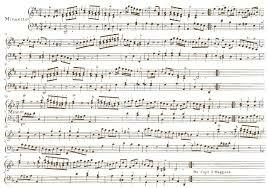 Mozart wrote a threefold utterance of an Eb -flat chord at the opening on the work (in homage to the Masons,) each of these chords with a short “pick-up.” Under Gilbert’s baton, the initial series of threefold statements was a bit shaky, but passable. However, when the threefold statement with pick-ups returned midway through the work, one was botched quite badly. The mistake revealed a flaw in Gilbert’s conducting technique, a problem that dogged her throughout the night. Because I’m especially interested in conducting technique – there are so many styles that work – I was sitting in the balcony as far left as allowed. From that vantage point I could see most of what the conductor was doing. Gilbert has a hitch in her beat, coming down and then bouncing forward, a confusing motion, and certainly the problem with that missed Mozart chord. Best performance on this night came next – Korngold’s schmaltzy Violin Concerto, played by a wonderful violinist , Elena Urioste. While Gilbert rarely imparted phrasing to the orchestra, the violinist did, and the result was satisfying. After intermission, Gilbert conducted Stravinsky’s Petrouchka and Dukas’ The Sorcerer’s Apprentice. Aside from Gilbert’s odd conducting hitch, the performances lacked any sense of interpretive shaping. Phrases seemed isolated. Overall, the impression was mechanical. The buzz in the audience was about Gilbert’s French accent when she spoke from the stage. Accent aside, Gilbert doesn’t measure up to this post. Compared with Gilbert, the second candidate’s bio is impressive. A Juilliard graduate, McAdams has appeared with the Academy of St. Martin in the Fields, the Israel Philharmonic, and the Royal Stockholm Philharmonic, among many. McAdams’s January 26 program opened with a straight-on reading of Mozart’s Overture to Don Giovanni. No complaints, nothing to write home about. Samuel Barber’s Piano Concerto followed, with a fine soloist, Andrew von Oeyen. I haven’t heard this work for 50 years. But its muscular mid-20th century American idiom still seems solid and refreshing. It’s a difficult work for orchestra, soloist and conductor. I don’t know the score well enough to hear missteps, and none struck my ear. Everything held together. The music’s complex gestures came across splendidly. I assume this work received the most rehearsal time, which showed in the performance. McAdams was in charge throughout. His command was topnotch. Last on the program, Brahms’s Symphony No. 1 in C minor, was a disappointment. The problem was McAdams’s conducting. All great conductors face the complete orchestra straight-on for most of the work. 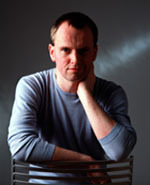 In his performance, however, McAdams faced the first strings for perhaps three quarters or more of the performance time. The result was a completely out-of-balance sound both interpretively and in dynamics. When you face a section, they tend to play louder. When you exhort one section for more expressiveness, they play louder still. Such over-attention comes at the expense of the other sections, who are left, more or less, on their own. And the Brahms suffered from this very problem. While the familiar themes in the first violins came across with energy, the important secondary material – so vital in Brahms’s style – was underplayed, under-phrased, and often not even heard. I have two possible explanations. First, McAdams conducted from memory. Perhaps in that effort he didn’t have the entire score under his belt, and only knew the main themes. Understandable but not commendable. Better to use the music until the entire score is memorized. The other explanation potentially portends a more serious issue. If this is the way he conducts all the time, attending mostly to the first strings, it’s a real problem. The ESO has just completed eight years with such an out-of-balance, look-to-the-left, habit of Rachev’s. Hiring another conductor with this same problem would be “lights out” for me. The final candidate, Francesco Lecce-Chong, brought an excellent bio: appearances with the National Symphony, Toronto Symphony, St. Louis Symphony, Indianapolis Symphony, and Hong Kong Philharmonic. Currently the assistant conductor of Pittsburgh Symphony, he is deeply involved in bringing new music to the fore in various venues. Of the three candidates, his resume is the best. Yet, if one had to choose a single quality most important for a conductor, it is excitement. And in his audition concert last Thursday, Lecce-Chong was exciting beyond my expectations. He opened with Franz Liszt’s Mephisto Waltz No. 1, a foot-tapping, barn-burner that electrified the air in the hall. Lecce-Chong conducted from memory. He faced and conducted the full orchestra. The musical fireworks went off, as did the audience response. Next was Béla Bartók’s Piano Concerto No. 3 , an extraordinary work in which Balkan modes and rhythms are absorbed into the classical concerto genre. Soloist Soyeon Kate Lee was excellent and I would like to hear more from her. The orchestra supported the pianist with lovely phrasing, delicate timbres, and reliable rhythms. Such a high level performance suggests that Lecce-Chong knows what he’s doing in rehearsal time, especially with an orchestra he just met. As the second half opened, Lecce-Chong gave some playful remarks that touched on the Viennese elements in Mozart’s overture to The Abduction from the Seraglio, including a Turkish ensemble dropped into the Viennese mix. Conducted again from memory, the performance was splendid. Lecce-Chong’s concern for the Viennese style was particularly important with the last piece, Richard Strauss’s Suite from Der Rosenkavalier. Many American orchestras have difficulty with Viennese phrasing, a European style essential for performance of many composers, from Mozart through Brahms, Mahler and Strauss. In 15 years observing the orchestra, I’ve never heard the ESO perform with a true Viennese phrasing, melody somehow joyous and bittersweet, leaning here and there on melodic motives and chromatic lines. But on this night, Lecce-Chong brought Vienna to Eugene. Conducting from memory, he led his musicians with apparent ease, shaping lines, balancing timbres and cuing entrances with precision. There were lovely Viennese moments when he expanded a phrases’s rhythm, then pulling it back in. This was the conductor’s real interpretation of the work, not merely a reading from an orchestra he had just met. Occasionally the phrasing got of hand – the delicate waltz rhythms slipping from a Viennese Sacher Torte into an “oom pah pah” Wiener Schnitzel. And there were times when Lecce-Chon’s own physical excitement exhorting the orchestra became over-the-top. But at this moment in Eugene’s musical life, heightened energy is far more desirable than less. The audience’s enthusiastic cheers for Ecce-Chong were not pro forma Eugene theatrics. The excitement for the music, the orchestra and conductor was genuine. Considering the three candidates: Gilbert is a rookie; McAdams is a talent; But Lecce-Chong has the real gift. He’s going to be a fast rising talent in the music world. He’s the obvious choice for Eugene right now.